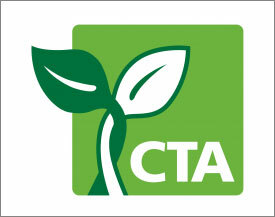 UGANDA - The Technical Centre for Agriculture and Rural Cooperation (CTA) have launched a 4.5 euro multi-year project in Uganda to benefit more than 350,000 smallholder farmers using satellite data to improve production and marketing of three value chains-maize, soya beans and simsim. While launching the project, East African Legislative member, Mike Sebalu said, "With this support from the Netherlands space office we expect increase in food crop yield, increase in effective use of agricultural inputs, farmers income, trade and investment activities by agri- input dealers, providers and enhanced literacy and capacity building for the disadvantaged. We believe this program will overall create sustainable business models for farmers." "We are targeting over four million individual farmers organized in 500 cooperatives in 4 regions with a unique service that we believe will lead to improved user efficiency of inputs including water, fertilizer, seeds, pesticides. We believe there will be long term impact through decreased dependence on social assistance and improved sustainability in food production," Benjamin Kwasi Addom, the Programme Coordinator of the Technical centre for Agricultural and Rural cooperation (ACP-EU-CTA) said. "By supporting entrepreneurship and youth, promoting enabling environments and uptake in public, private, NGOs, farmers, extension practitioners in Uganda, we have a target of improving self-reliance of up to 800,000 farmers," Carol Kakooza, Program Director Mercy Corps said. Carol said this was the first project to be launched in Uganda and encouraged all the farmers and citizens to embrace it. It will also help change the attitude most people have about farming that it is for the poor, jobless and for villagers. The use of satellite data will help our farmers get informed about the weather forecast, insurance package in case of any destruction and assistance about modern methods of farming. With 3 million farming households and agriculture contributing 42% to Uganda's GDP, the timely 4.5million Euro program was launched at the kampala serena hotel in the presence of the officials from the ministry of agriculture, national information technology authority, ministry of trade, industry and cooperatives, and partners including alliance for a green revolution in Africa(AGRA) the east African farmers federation(EAFF), EARS Earth Environment monitoring (EARS-E2M), the eLeaf competence centre(eLeaf) and Mercy Corps Uganda as member partners of the project.